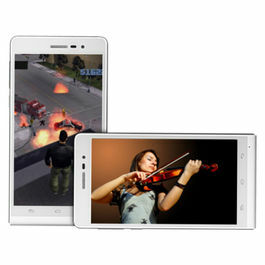 Xolo Play 6X 1000 is an exclusive play phone that has a large collection of games for you to choose from and play. With the power of 6 Core Processors enjoy flawless gaming with fantastic graphic experience. It's HD display gives you an amazing movie watching experience. It is definitely one of the best phones to own right now. The black colour adds to its urban look. Take a look at what its got to offer. 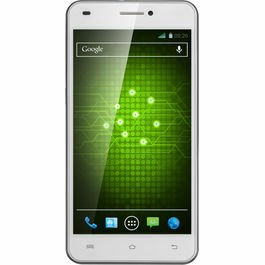 Xolo Play 6X 1000 features 12.7cm (5) HD IPS display with an amazing resolution of 1280*720p and over 16 million colours. You can watch all your favourite videos in high definition without any hassle. It is also supported by the HD IPS technology along with the 5 fingers supported system. 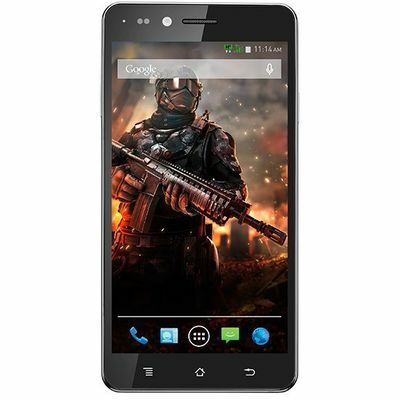 It operates on the Android v4.4 KitKat operating system with MT6591 chipset and Hexa Core 1.5 Ghz Processor. 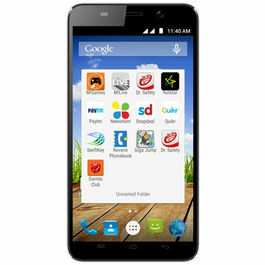 Xolo Play 6X 1000 is a host of enhanced for flawless performance and seamless multitasking. The phone is packed with dynamic 8 MP Rear Camera producing fabulous pictures with Flash Support and Auto Focus. Other amazing camera features include Scene Detection & Tuning, High Dynamic Range (HDR), Low Light Enhancement, Face Recognition( For focusing as well as in Gallery), Vertical & Horizontal Panorama Capture and Geo Tagging. It records videos in full HD 1080P. The phone comes with 2 MP Front Camera for amazing selfie clicks. With Wi-Fi, Bluetooth,WLAN support you can be well connected to the world at all times. You also have the USB port option where you can connect the phone with other devices. The new Xolo Play 6X 1000 is sure to take your gaming experience to next level with Mali 450 GPU, Intelligent Gyroscope Sensor and 600 MHz Clock Speed that offer the best of graphics and gaming technology. Its video and audio playback options are worth a mention. Watching videos will be a delight with the stunning 1080P display. It supports MPEG4, H263, H.264, .MP4 video formats. This dual SIM phone comes with 2 GB RAM and 8 GB internal memory expandable up to 32GB to store all your favourite pictures, songs, videos and more. It has a battery capacity of 2100 mAh Li-Pol with talktime up to 14.75 hours and video playback of 4.34 hours. Enjoy longer phone usage with the 6X 1000. 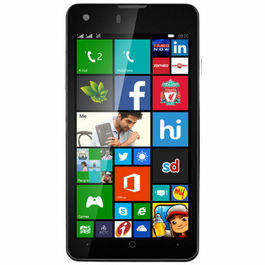 Explore more on Xolo Mobiles. 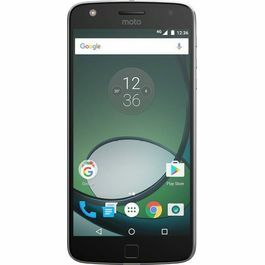 Check out other mobile phones with excellent features & technology. Xolo Play 6X 1000 is an exclusive play phone that has a large collection of games for you to choose from and play. With the power of 6 Core Processors enjoy flawless gaming with fantastic graphic experience. It's HD display gives you an amazing movie watching experience. It is definitely one of the best phones to own right now. The black colour adds to its urban look. Take a look at what its got to offer.Display & Design Xolo Play 6X 1000 features 12.7cm (5) HD IPS display with an amazing resolution of 1280*720p and over 16 million colours. You can watch all your favourite videos in high definition without any hassle. It is also supported by the HD IPS technology along with the 5 fingers supported system.Processor & OS It operates on the Android v4.4 KitKat operating system with MT6591 chipset and Hexa Core 1.5 Ghz Processor. Xolo Play 6X 1000 is a host of enhanced for flawless performance and seamless multitasking.Camera The phone is packed with dynamic 8 MP Rear Camera producing fabulous pictures with Flash Support and Auto Focus. Other amazing camera features include Scene Detection & Tuning, High Dynamic Range (HDR), Low Light Enhancement, Face Recognition( For focusing as well as in Gallery), Vertical & Horizontal Panorama Capture and Geo Tagging. It records videos in full HD 1080P. The phone comes with 2 MP Front Camera for amazing selfie clicks.Connectivity With Wi-Fi, Bluetooth,WLAN support you can be well connected to the world at all times. You also have the USB port option where you can connect the phone with other devices.Multimedia The new Xolo Play 6X 1000 is sure to take your gaming experience to next level with Mali 450 GPU, Intelligent Gyroscope Sensor and 600 MHz Clock Speed that offer the best of graphics and gaming technology. Its video and audio playback options are worth a mention. Watching videos will be a delight with the stunning 1080P display. 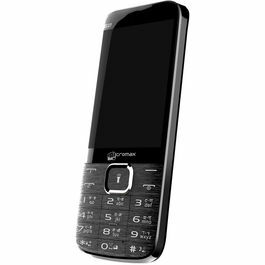 It supports MPEG4, H263, H.264, .MP4 video formats.Memory & BatteryThis dual SIM phone comes with 2 GB RAM and 8 GB internal memory expandable up to 32GB to store all your favourite pictures, songs, videos and more. 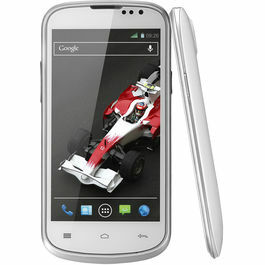 It has a battery capacity of 2100 mAh Li-Pol with talktime up to 14.75 hours and video playback of 4.34 hours. Enjoy longer phone usage with the 6X 1000.Explore more on Xolo Mobiles. 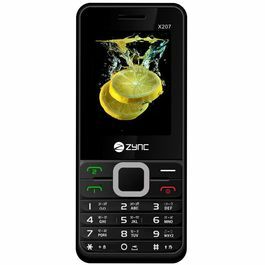 Check out other mobile phones with excellent features & technology.